A beautiful, if not haunting, illustration by Greg Hildebrandt from his illustrated book, "Poe." 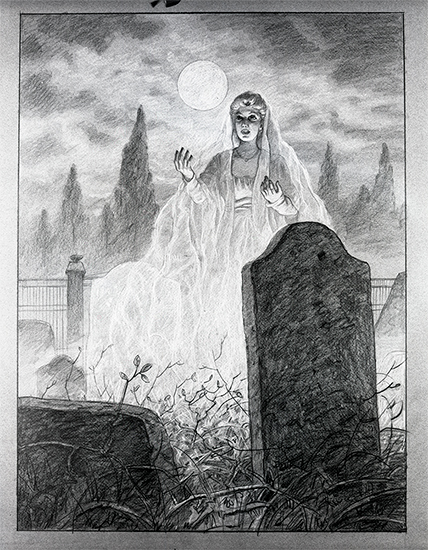 Published by Unicorn Publishing in 1986, this image accompanied the poem, "Spirits of the Dead" on page 74. The woman depicted is ethereal. Could it be fog and moonlight that makes her appear this way? Or could she be spirit of the dead?